The number of rice bowl shops opening up in Singapore in last couple of months is mildly puzzling, there are THAT many. 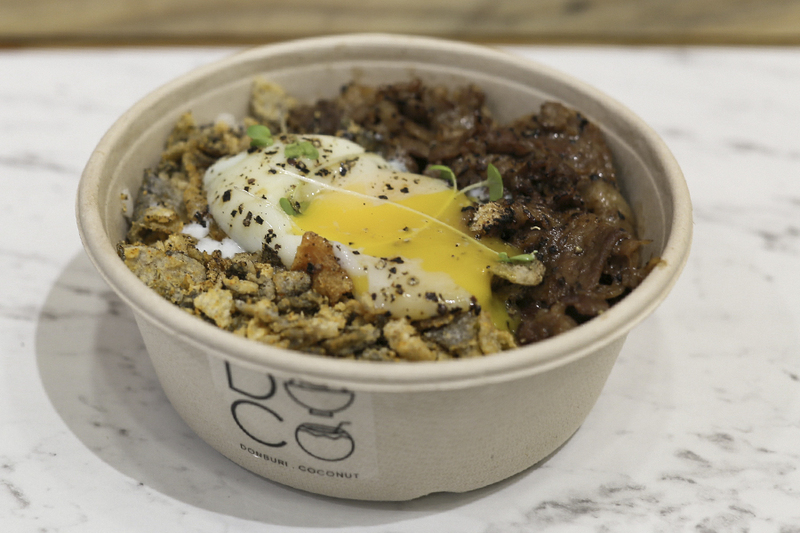 Beyond the beef bowls and salmon donburi, newer shops need to differentiate from their competition. 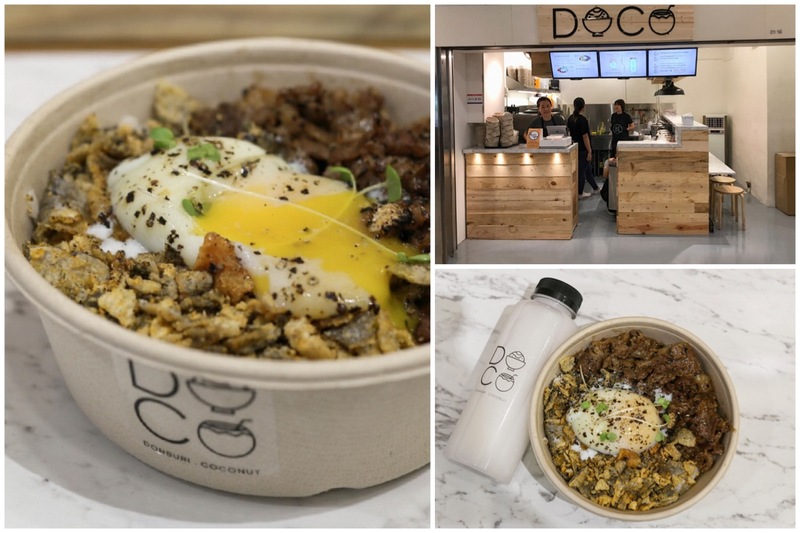 I took note of DOCO at International Plaza (near Tanjong Pagar MRT), because it added fish skin into its donburi, which is still unusual here. 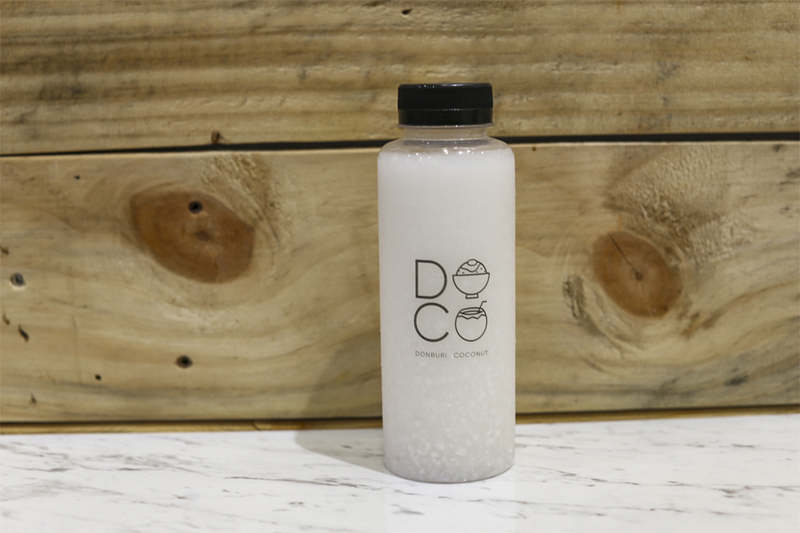 In short for “Donburi Coconut”, the 5-seater shop is actually established by The Fish Sh-nack and SoiCoco. 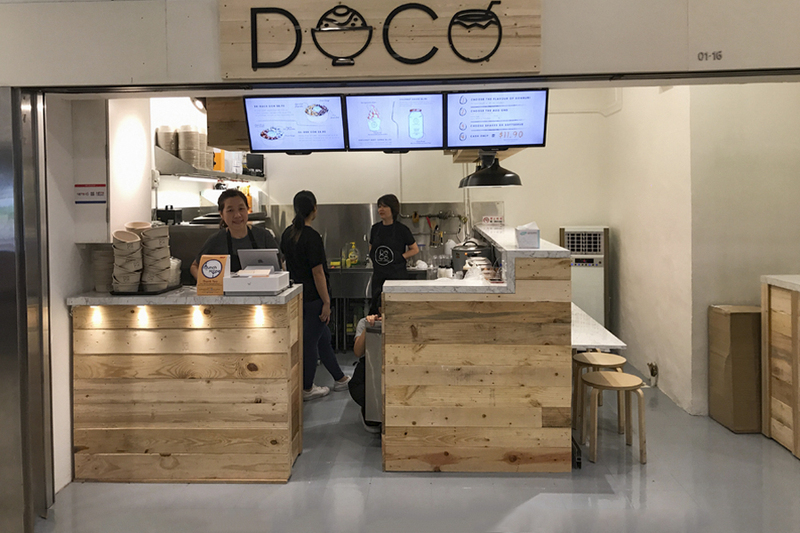 Thus you would find products from both – donburi and vegan-friendly and dairy-free coconut products incorporated in one shop. 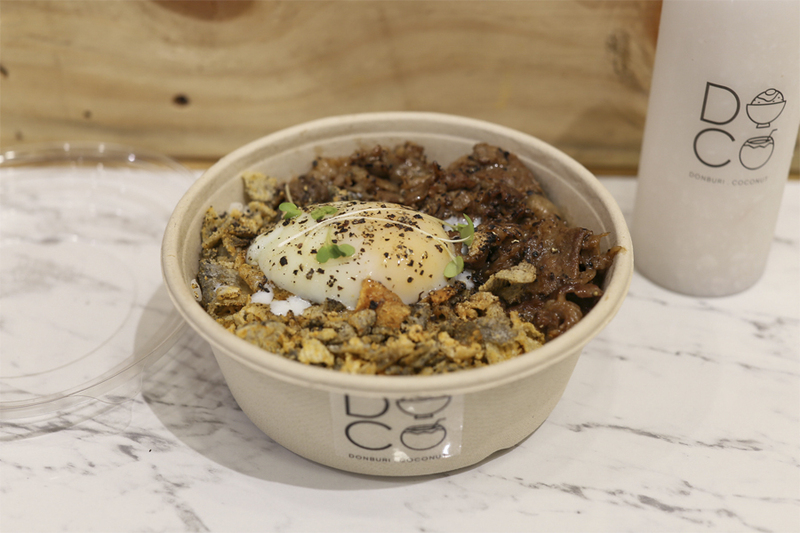 DOCO serves up two main offerings of Sh-nack Don ($8.90) – grilled beef topped with cajun flavoured fish skin, and Sh-Ken Don ($8.90) – honey miso chicken topped with original crispy fish skin. 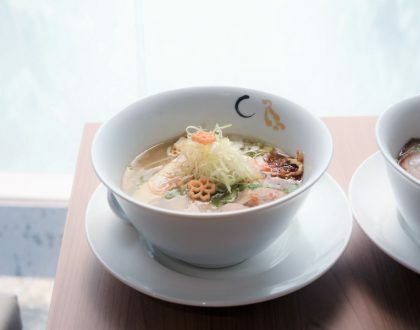 Both bowls are accompanied with onsen tamago, served on warm Japanese rice. A third bowl, the Sh-Otah Don ($8.90) with fresh mackerel otah topped with tom yum flavoured fish skin will be introduced soon. 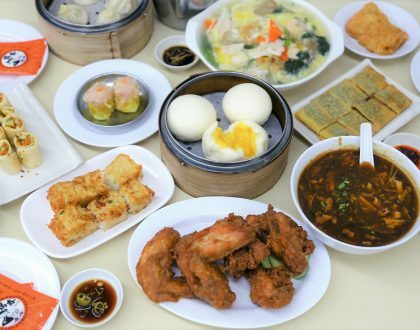 The CBD workers have choices aplenty, from rice bowls, healthy salad joints, to fuss-free eateries serving inexpensive chye peng. 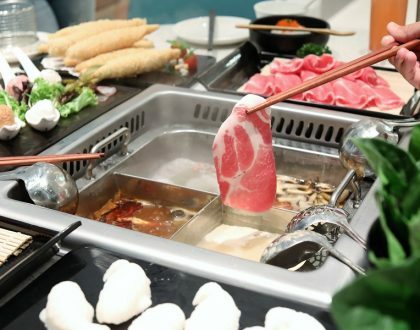 With a limited menu, I wonder if customers would frequently return to an eatery… unless the food is out of this world, super wallet-friendly, or has enough variety to try out different permutations. I had the Sh-nack Don ($8.90) with almost equal proportion of grilled beef and cajun fish skin. The fish skin added some variety in both texture and taste, with salty-spiced bits and crunches every mouthful. The grilled beef had peppery flavours, but you would feel something missing from the overall combination. I reckon pickles or some vegetables could help provide a more balanced bowl. 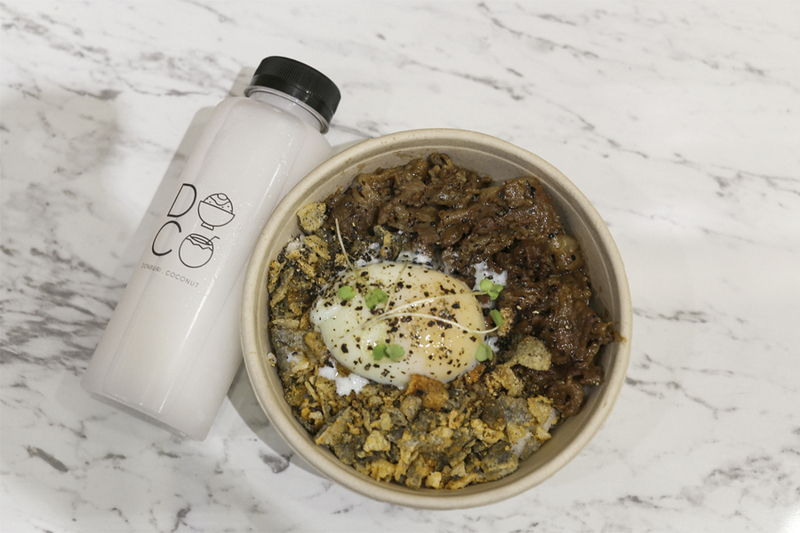 You can also add on Coconut Soft Serve Soicoco topped with organic gula Melaka, or thirst-quenching Coconut Shake to complete the meal at $14.90.